There’s nothing we love more than a Christmas-themed sequel. You know, Jack Frost 2: Revenge of the Mutant Killer Snowman, National Lampoon’s Christmas Vacation 2: Cousin Eddie’s Island Adventure, or even the seminal classic, Nativity 2: Danger in the Manger! John’s thoughts on Eargo, one Christmas later? Thanks, John! We’re blushing brighter than Rudolph’s nose. Steve is Eargo’s Head of Sales Operations. With over 25 years experience as an audiologist, Steve has helped countless patients over the years. Hello. I’m interested in one of your products. How do I arrange the exam, hopefully close to home or work. We suggest new-to-Eargo clients try our free sample kit to get an understanding of the fit and feel of our devices. After requesting the sample kit, you’ll receive a call from one of our personal hearing guides to discuss your level of hearing loss, as Eargo was designed for those with mild to moderate hearing loss. You can take our Hearing Screener today at try.eargo.com, or call us with any questions at 1-800-734-7603. We’re all ears! Did you know Eargo costs almost 50% less than the average traditional hearing aid? 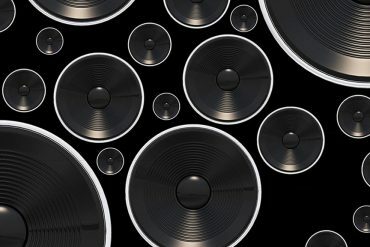 Learn about our pricing and low-cost financing options, starting from $90 a month over 24 months, as well as our payment plans and $0 down, in-home trial at shop.eargo.com/trial. We’re currently selling two hearing aids, Eargo Plus and Eargo Max, which sell for $1,950 and $2,450, respectively, with financing options as low as $90/month. Our price includes both the left and right hearing aid, a charger and USB cord (we’ve nixed those pesky batteries in favor of a more modern way to power up), our patented, replaceable Flexi Fibers, Wax Guards, and starter services including one-on-one time with our personal hearing guides. 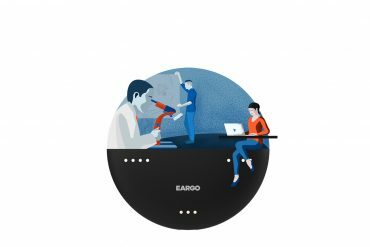 Our personal hearing guides can walk you through our financing options, payment plans and in-home trial at 1-800-734-7603 or https://shop.eargo.com/trial. I have had professional testing competed and I have severe mid-to high frequency (statring around 2,000) sensorineural hearing loss, but only in my left ear. I can provide my testing results and the doctor’s notes if that would be helpful. No issues or hearing loss in my right ear. Do you sell individual units rather than pairs? Is there any functionality or adjustments available on the unit itself or via smartphone, specifically Android phones? Eargo hearing aids are sold as a set, since our device was designed to both hold and charge both of our hearing aids. Eargo Neo can be personalized with all-new hearing settings downloadable from the cloud. That means you get a custom hearing plan F.Y.E.O.—for your ears only. We’d suggest getting in touch with one of our Personal Hearing Guides at 1-800-734-7603 to learn more about whether Eargo is right for your hearing loss.